A new University of Colorado at Boulder study sheds light on the brain mechanisms that allow us to make choices and ultimately could be helpful in improving treatments for the millions of people who suffer from the effects of anxiety disorders. In the study, CU-Boulder psychology Professor Yuko Munakata and her research colleagues found that "neural inhibition," a process that occurs when one nerve cell suppresses activity in another, is a critical aspect in our ability to make choices. "The breakthrough here is that this helps us clarify the question of what is happening in the brain when we make choices, like when we choose our words," Munakata said. "Understanding more about how we make choices, how the brain is doing this and what the mechanisms are, could allow scientists to develop new treatments for things such as anxiety disorders." Researchers have long struggled to determine why people with anxiety can be paralyzed when it comes to decision-making involving many potential options. Munakata believes the reason is that people with anxiety have decreased neural inhibition in their brain, which leads to difficulty making choices. "A lot of the pieces have been there," she said. "What's new in this work is bringing all of this together to say here's how we can fit all of these pieces of information together in a coherent framework explaining why it's especially hard for people with anxiety to make decisions and why it links to neural inhibitors." 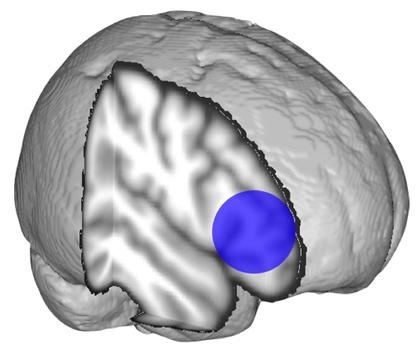 A paper on the findings titled "Neural inhibition enables selection during language processing" appeared in the Aug. 30 Proceedings of the National Academy of Sciences. CU-Boulder professors Tim Curran, Marie Banich and Randall O'Reilly, graduate students Hannah Snyder and Erika Nyhus and undergraduate honors thesis student Natalie Hutchison co-authored the paper. In the study, they tested the idea that neural inhibition in the brain plays a big role in decision-making by creating a computer model of the brain called a neural network simulation. "We found that if we increased the amount of inhibition in this simulated brain then our system got much better at making hard choices," said Hannah Snyder, a psychology graduate student who worked with Munakata on the study. "If we decreased inhibition in the brain, then the simulation had much more trouble making choices." Through their model they looked at the brain mechanisms involved when we choose words. They then tested the model's predictions on people by asking them to think of the first verb that comes to mind when they are presented with a noun. "We know that making decisions, in this case choosing our words, taps into this left-front region of the brain, called the left ventrolateral prefrontal cortex," Munakata said. "We wanted to figure out what is happening in that part of the brain that lets us make these choices. Our idea here, which we have shown through the word-choosing model, is that there's a fight between neurons in this area of the brain that lets us choose our words." They then tested the model's predictions that more neural inhibition in the brain makes it easier to make choices by examining the effects of increased and decreased inhibition in people's brains. They increased inhibition by using a drug called midazolam and found that people got much better at making hard choices. It didn't affect other aspects of their thinking, but rather only the area of making choices. They investigated the effects of decreased inhibition by looking at people with anxiety. "We found that the worse their anxiety was, the worse they were at making decisions, and the activity in their left ventrolateral prefrontal cortex was less typical," Munakata said. There are two ways in which the research could be helpful in improving treatments for anxiety, according to Snyder. While specific medications that increase neural inhibition are currently used to treat the emotional symptoms of anxiety disorders, the findings suggest that they might also be helpful in treating the difficulty those suffering from anxiety have in selecting one option when there are too many choices. "Secondly, a more precise understanding of what aspects of cognition patients are struggling with could be extremely valuable in designing effective approaches to therapy for each patient," she said. "For example, if someone with an anxiety disorder has difficulty selecting among multiple options, he or she might benefit from learning how to structure their environment to avoid choice overload." The work was done in CU-Boulder's Center for Determinants of Executive Function and Dysfunction, which brings together researchers from different areas of expertise on campus and beyond including experts on drug studies, neuroimaging and anxiety. The center is funded by the National Institute of Mental Health.